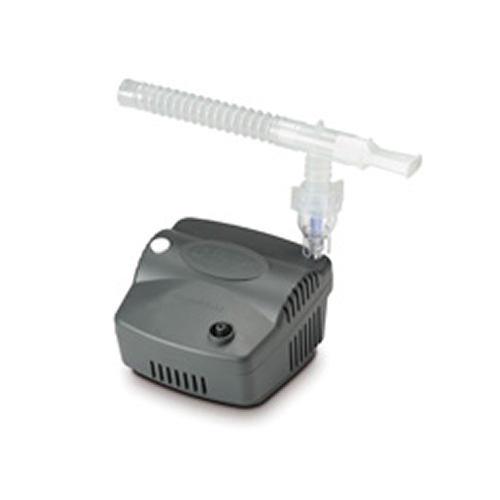 The PulmoNeb LT Nebulizer Compressor System is made by DeVilbiss and is an upgrade to the top-selling DeVilbiss Pulmo-Aide Compact Nebulizer. 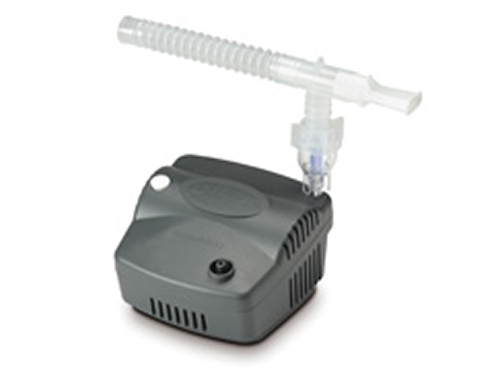 The PulmoNeb Nebulizer is designed with highly intuitive controls for easy patient operation. An easy-to-use, built-in nebulizer holder provides a convenient place to store your nebulizer if your treatment is interrupted. The PulmoNeb comes in a low cost, high performance model called the PulmoNeb LT. Tubing (with disposable nebulizer only). No internal tubing to improve reliability and reduce chance of leaks. Ball bearing connecting rod design further enhances system reliability. Ball bearing connecting rod design prolongs machine life. Max Air Pressure: 30 psig or greater depending upon altitude. Max Liter Flow: 9 LPM or greater depending upon altitude. MMAD: 5 microns or less. Max Power Consumption: 140 Watts. PulmoNeb Nebulizer Compressor System Warranty: 5 years limited. Can I use a sidestream nebulizer cup with this machine? We do not employ any medical professionals and therefore cannot answer any specific questions regarding this item. We recommend contacting the manufacturer of the product for specific information. Is this just 120 volt or can you get a battery pack? It is a 120 volt and battery packs are unavailable for this unit. A bit noisier than I expected, but quieter than my previous unit. Works well. Does what it is supposed to do. Brand name of ones that we used for past 28 years. Works great, as I would expect from this brand. No hassle with getting certification to get insurance to pay and in end, end with deductibles/copay would have cost us more for same model. Received with in 2-3 days with express delivery. We are happy and planning on ordering another. The jury is still out on this company. My order came very slowly and was incomplete. The machine was brokenot and there was a great deal of red tape when I attempt to correct it. I would not suggest using them if you have ano immediate need. Small and compact, works faster than our old one. But is pretty loud. Looses a star for the noise. I don't think there is a better compressor for dependability. My wife has had a Devillbis for about 10 years without issue. My only complaint is the noise level. The new one is twice as loud as the old one. During the time interval between these units it has transitioned from a metal case to a plastic case. This compressor seems to have more power than my last one, which was another brand, but is not any louder. Very quiet and efficient at what it's suppose to do at a very decent price. Will definitely buy another for spare in case the one I have now stops working. This nebulizer delivers excellent performance. I am impressed with this company's efficiency and swiftness of delivery. The product works great and I am extremely happy! This new compressor replaced one that I had for over 20 years. It's half the size, a lot quieter and probably more than half the price of my original one. Totally satisfied with this product.